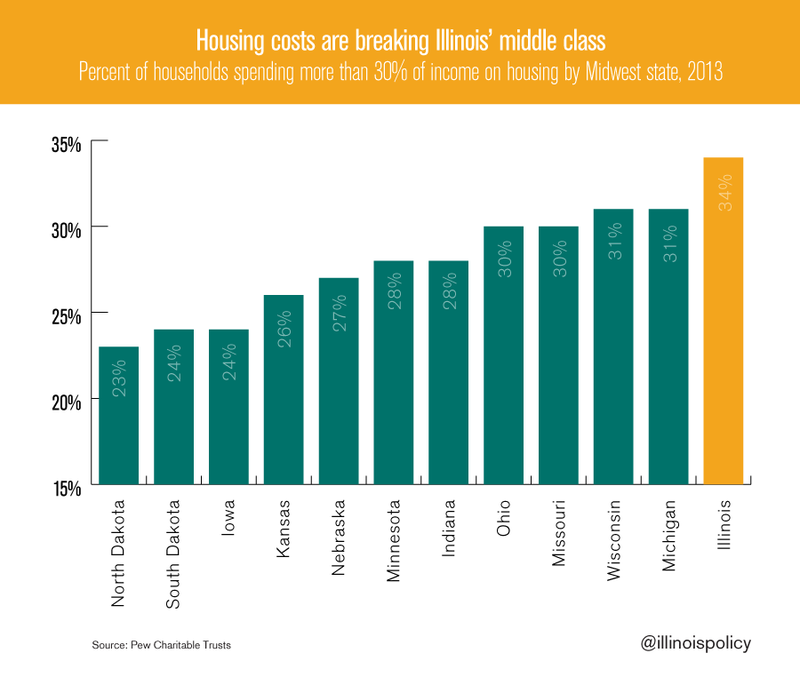 Illinois stands out in the Midwest for unaffordable housing – 34 percent of Illinois households spend more than 30 cents per dollar of income on housing, more than any other state in the region. 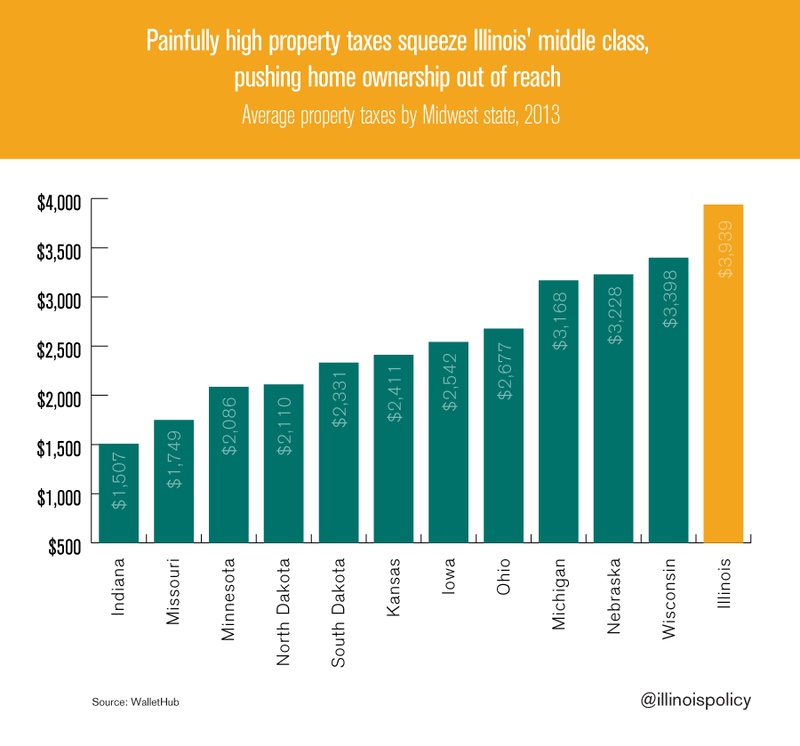 Illinois’ middle class is struggling, and the state’s weak economy and skyrocketing property taxes are much to blame. New research from Pew Charitable Trusts shows that since 2000, the percentage of Illinois households that are counted as middle class has shrunk to below 46 percent from just below 50 percent. 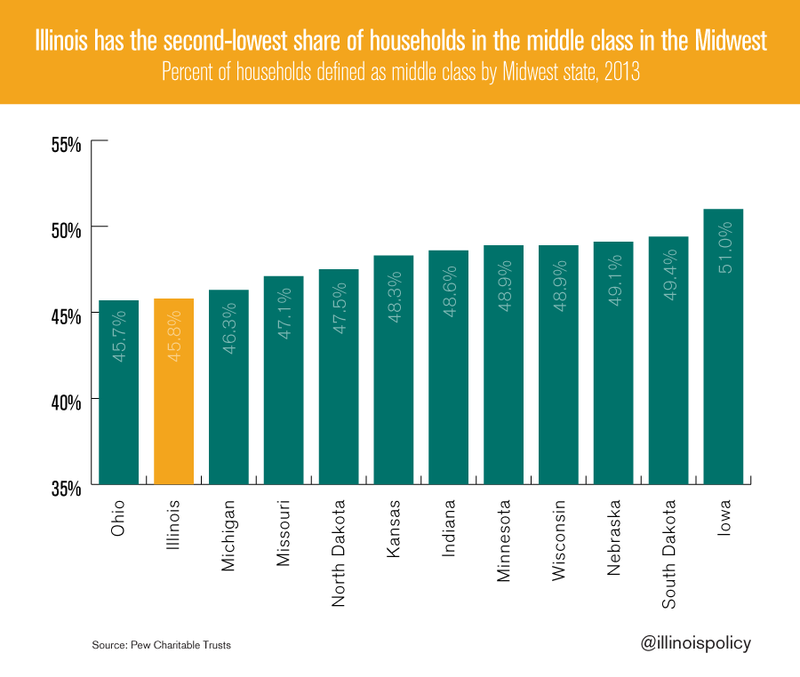 That means Illinois’ middle class makes up a smaller percentage of households than any state in the Midwest except Ohio, where the percentage of households in the middle class is a mere tenth of a percent lower than in Illinois. A major economic pain point that is causing Illinois’ middle class to evaporate is the affordability of housing, and the cost of property taxes that come with owning a home. The share of Illinois households that spend at least 30 percent of their income on housing is significantly higher in the Land of Lincoln than in any other Midwest state. Today, 34 percent of Illinois households spend more than 30 cents per dollar of income on housing. Back in 2000, only one-fourth of Illinois households spent 30 cents per dollar of income on housing. Unaffordable housing is bad enough. On top of that, Illinois households pay property taxes that are so high they become like a second mortgage, and one that can never be paid off. Property taxes on the average Illinois home total $3,939, the second-highest sum in the U.S., and only $32 below New Jersey, the nation’s worst offender. That puts Illinois’ property-tax burden at more than two and a half times that of Indiana, and more than double Missouri’s. Illinois’ middle class is sustained on strong economic growth, manufacturing opportunities and affordable housing. Those are all lacking in Illinois due to policy mistakes on many fronts. Property taxes across the state are already far too high and should be capped by state law so that families can feel secure in being able to afford and keep their homes. Illinois’ manufacturing jobs are hopping the border to Indiana and Michigan at alarming rates, and will continue to leave until workers’ compensation is reformed and Illinois municipalities begin to pass local Right-to-Work laws. After decades of mistakes, economic growth can come roaring back to Illinois if policy leaders embrace the economic components of Gov. Bruce Rauner’s Turnaround Agenda, along with enacting the laws detailed in the legislative agenda for entrepreneurs.